A few months ago, I made this card for another crafty friend's wedding. We met in our teens during one of my first jobs at a tutoring center in Brooklyn. For a while, we lost contact due to our 2 year age difference and attending different schools and colleges altogether. Facebook. Ah, what my generation would do without...I can't even imagine. Anyway, we reconnected through there as many others did during our freshmen year in college when it was first introduced to the college world. Who would've thought that we would find this unlikely connection through crafting so many years later? You see, it is very uncommon for those growing up in a place like NYC to be taking on any hobbies. Unless you're born to a hippie or into a privileged family, it is more likely that we would have a part-time job in school than pursue our interests. It wasn't until college that I was able to pursue papercrafting. I notice that I put in a bit more effort into designing things when I know I am gifting a handmade item to another artsy person. Why is this? Well, this person will be better able to appreciate and connect with what is presented to them, for one. Another thing that may or may not be true is my impression that I am suppose to WOW this person because they have been exposed to so many more amazing works by the array of talent out there. I cannot accurately make this comparison, but it is still an illogical reasoning I have. Do any of you ever find that you are in this situation as well? Lastly, I should comment about the actual card. 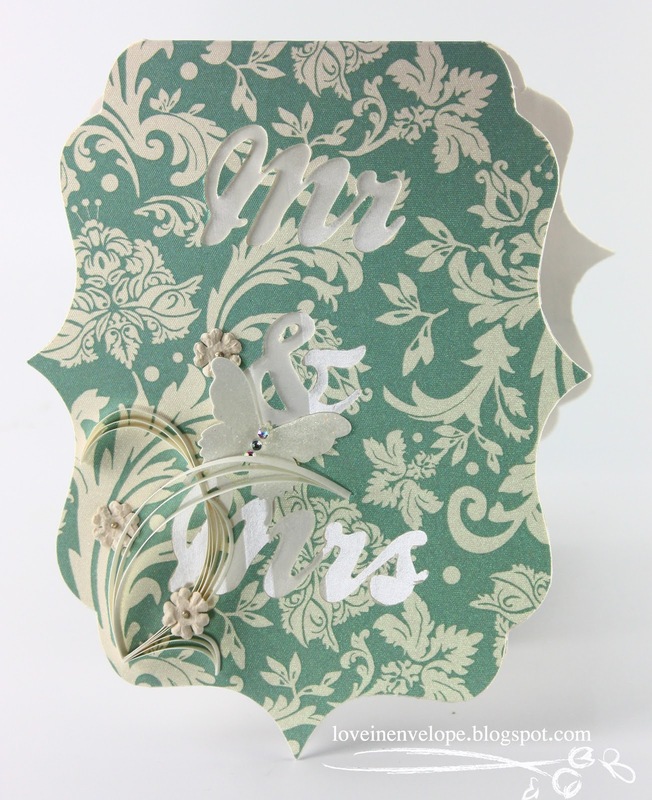 :D "Mr & Mrs" are paper pierced and then the paper I used to fill in the letters was taken from gift wrapping scraps. It actually shimmers through and does not take away from the overall look, in my opinion. 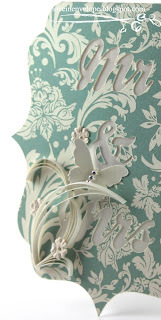 Silhouette butterfly is embellished with tiny rhinestones. Flourishes are quilled. Here is a shot of the interior. 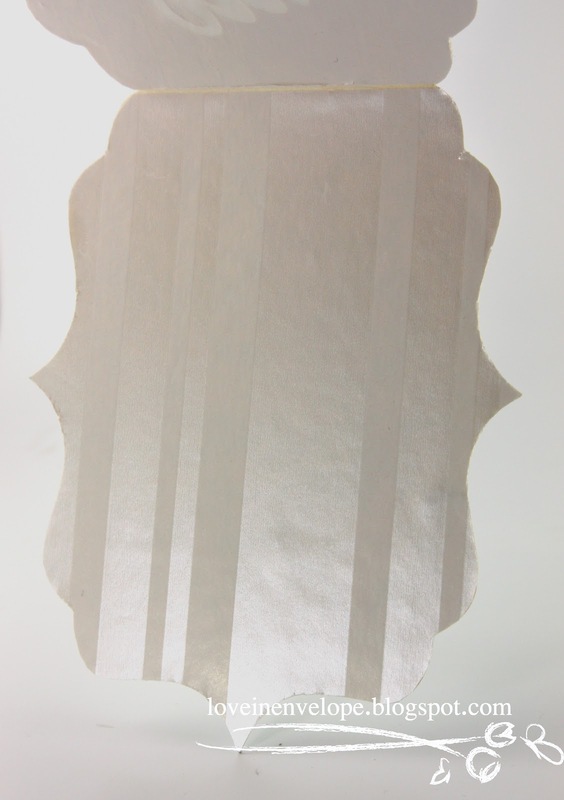 It's also lined with the same gift wrap as the lettering that peeks through the front of the card. 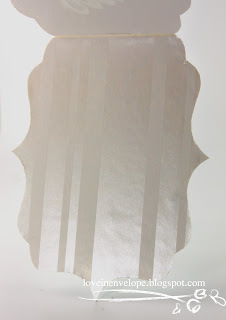 I am still holding onto the cut-outs from "Mr & Mrs"...perhaps for another wedding project I will integrate them. We are expecting a snowstorm in the Northeast today, so we'll be staying in. Hopefully everyone is doing the same to stay safe and warm. This card turned out just beautiful - spotted it on MIM. 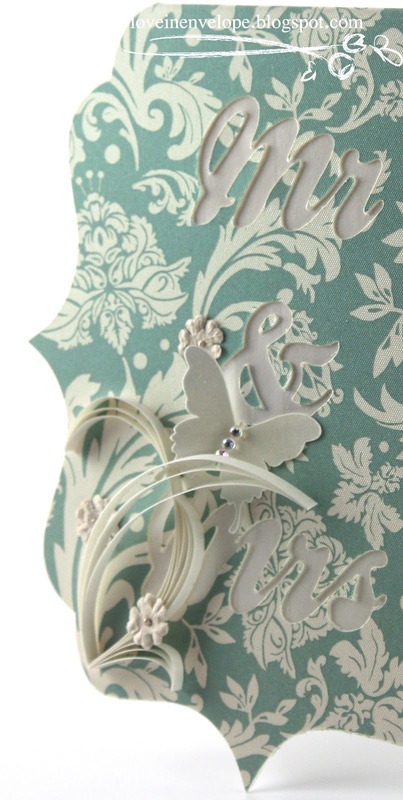 Love the elegant look of the paper and the cut out sentiment is such a nice detail of this design! 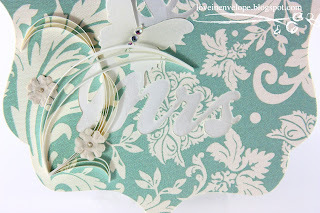 This is beautiful card and I loved reading your post also..For me too initially blogging was intimidating its still now ,but much less and I have to say a special thanks for the snowflake tip ! 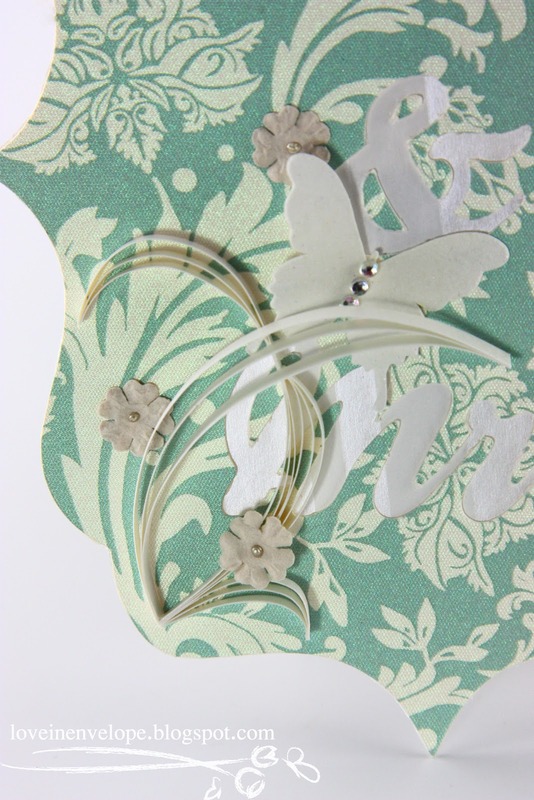 The card is lovely - it looks light as air and the bit of quilling sets off the butterfly perfectly! I loved reading your thoughts on blogging... brave are we who have jumped into the blogosphere, eh?! I have to say I feel like I get much more in return than I give - bloggers are so generous with all that they share. I agree with you and the others, your card is beautiful !!!! Love it. It's so elegant. OMG, I've never seen a card like this before. Totally elegant and gorgeous. Wishing you and your family a safe, healthy, and prosperous New Year. Eileen this is beautiful and elegant. Love the decorative edges. Such a beautiful card - fantastic design. Hi, thanks for stopping by. I hope you can draw inspiration from my work just as I have come to find in others'.